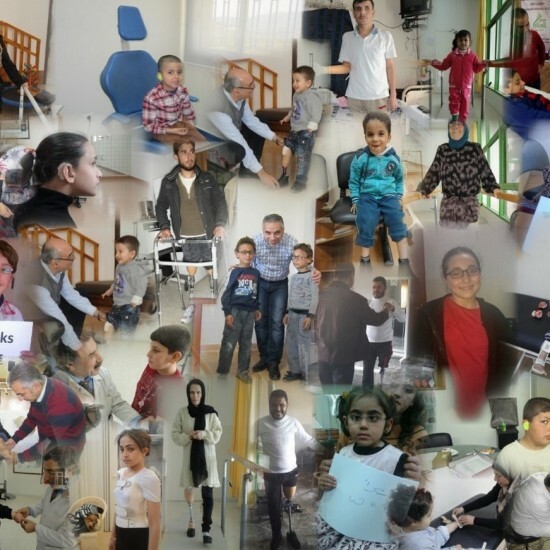 In July 2018 WRF Lebanon has started the implementation of the UN OCHA funded project “Alleviating the Burdens of Displacement on Persons with Disabilities among Refugees from Syria and Their Peers in Lebanese Host Communities” (to learn more about WRF’s work in Lebanon, visit www.wrf.org.lb). 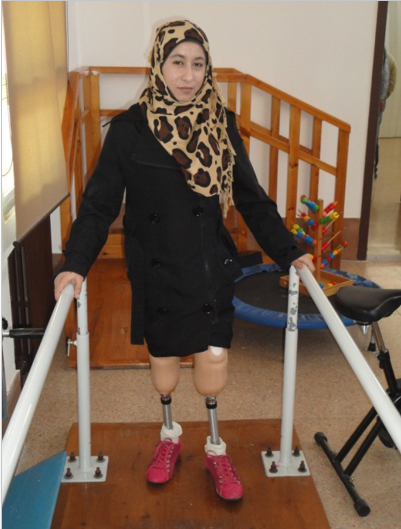 The program funding of roughly $297,000 is being used to address the unmet needs of the people with disabilities among the Syrian refugees and in their host communities in Lebanon. This six-month project will aim to fill the gaps in humanitarian assistance targeting one of the most vulnerable groups, while complimenting an ongoing assistance project currently implemented by WRF to address the needs of larger number of individuals, as well as expand the operational assistance to local Community Based Organizations. WRF Lebanon continues to be a strong advocate for the rights and needs of the women and children with disabilities and plays an important role in ensuring direct assistance and protection to persons with physical and sensory disabilities. To provide prosthetic and orthotic devices, prescription eyeglasses, and hearing aids; and related services. To build the capacities of Lebanese civil society organizations to expand their services, and support WRF in providing Community Based Rehabilitation services to persons with disabilities. To increase understanding of the protection rights and needs of persons with disabilities among stakeholders and the general public through awareness and advocacy initiatives. The Project is being implemented between September 1, 2017 and August 31, 2018. WRF and ProsthetiKa have completed another successful multidisciplinary rehabilitation assistance and training project in the Ukraine. The goal of this project was to improve the lives of disabled people by enabling them to participate in adaptive sports and recreational activities. Furthermore, by publicizing the accomplishments of the participants, we hope to ultimately improve inclusion of persons with disabilities into employment and social arenas. The team sent to Ukraine included prosthetists, OTs, PTs, and an adaptive sports trainer. Team members were from the US, Canada, UK, and Australia. 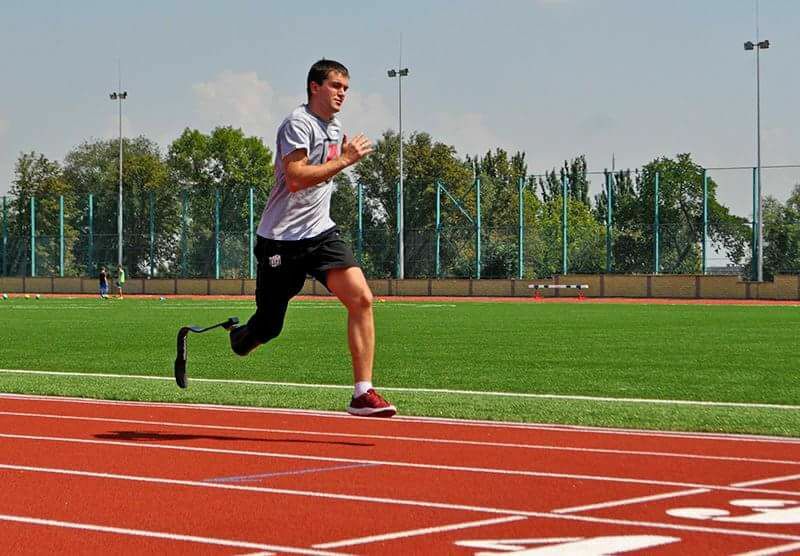 They brought components for both upper extremity and lower extremity prostheses that allowed them to fabricate lower extremity prostheses for running and other sports, as well as upper extremity prostheses for volleyball, weight training and other activities. This was another great opportunity for WRF to participate in a unique and exciting project that provided immediate benefit and life-long improvements for people with disabilities in the Ukraine. Other contributing partners included the Ukraine Parathletic Initiative, Canadian Ukraine International Assistance, Australian Embassy to Ukraine, and the donations of numerous individuals and foundations in Canada and the US. As part of its ongoing effort to address and mitigate the suffering caused by the Syrian refugee crisis, WRF Lebanon has just completed a 6 month $515,000 grant from The United Nations Office for Coordination of Humanitarian Affairs (OCHA). The grant to WRF Lebanon had wide ranging and immediate effects on the ground. The direct actions of the project supported and aided more than 720 people with disabilities, the majority of whom were women and children. Overall, 65 % of the recipients were Syrian Refugees and 35% were Lebanese citizens from the host community. The critically important materials that have been provided are: 100 prostheses, 120 orthoses, 180 hearing aids, and 300 pairs of eye glasses. 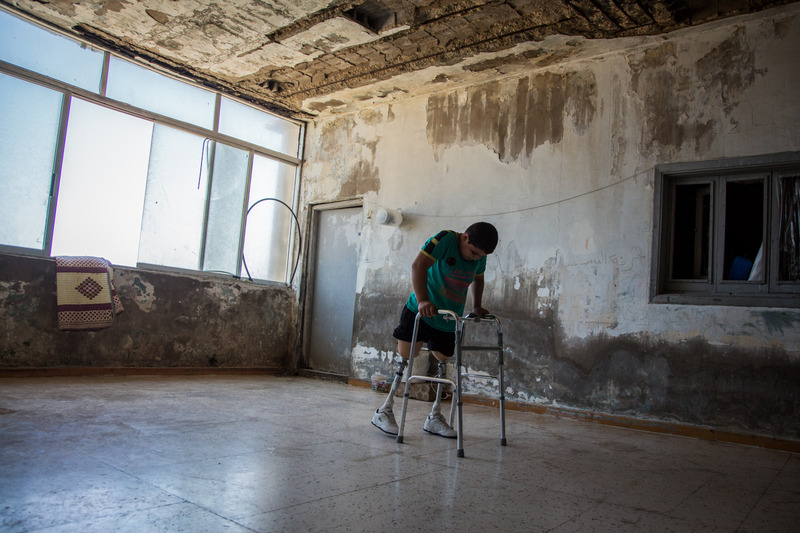 Persons with disabilities remain some of the most vulnerable people within this very vulnerable population and without the work of WRF Lebanon, their vital needs would have gone unaddressed. OCHA is the part of the United Nations Secretariat responsible for bringing together humanitarian organizations to ensure a coherent response to emergencies. OCHA also ensures that there is a coherent strategy and coordination for the overall response efforts. OCHA’s mission is to mobilize and coordinate effective and principled humanitarian action in partnership with national and international actors to alleviate human suffering in disasters and emergencies. OCHA also advocates for the rights of people in need, promotes preparedness and prevention, and facilitates sustainable solutions. Please join us in congratulating our colleagues at WRF Lebanon for their tremendous effort, significant impact, and dedication to helping the people of Lebanon and Syria. 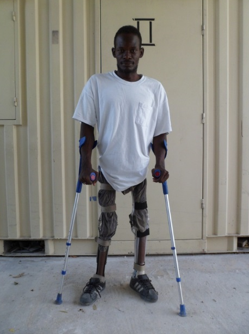 When Frantz, who is now 34 years old, was 10, he contracted polio. The illness affected both limbs, but primarily caused injury to the right leg. 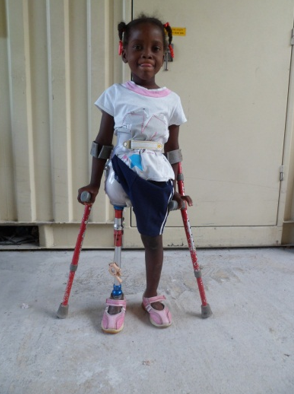 He was provided an orthotic device by the orthotic technician from Ecole St. Vincent, a program that was developed many years ago with the assistance of WRF and was then the only such program in Haiti. It is with great sadness that we at the World Rehabilitation Fund learned of the passing of George Benjamin. He was a long-time supporter of WRF who served as Vice-Chair of the Board for many years. We will miss him and cherish his memory. We extend our warmest wishes to his beloved family and friends. Fondly, the WRF Team.